If there was ever a town with momentum it is Bellingham Washington. It was rated the #2 City & Metropolitan area in the country in “Cities Ranked and Rated”. Kiplinger’s called Bellingham one of the top retirement communities in the U.S. Located on the northwestern coast of Washington, this city of 79,000 (180,000 in the Metro area) has several colleges and Western Washington University with 14,000 students. 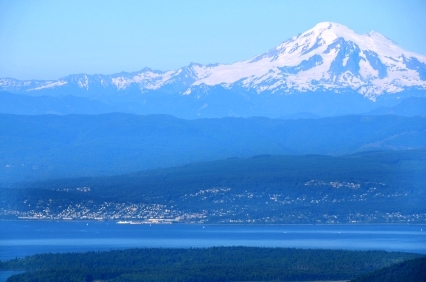 Bellingham has unbelievable natural scenery from Puget Sound on the west and Mount Baker to the east. Bellis Fair Mall is a large mall that attracts many shoppers from Canada. There is a functional downtown and an active redevelopment plan for the waterfront. For a list of profiles of over 600 cities and towns go to retirement community reviews, or for more information on taxes and what it is like to retire in Washington State. Here are our reviews of Walla Walla, and San Juan Islands.